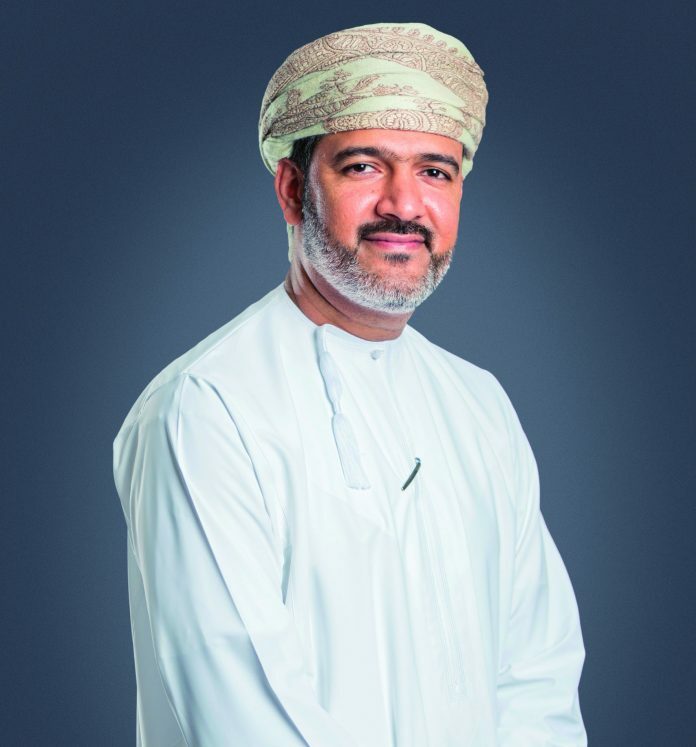 Abdulmalik Al Balushi, CEO of Oman Post, says logistics will play a critical role in enhancing the economic development and competitiveness of the Sultanate. What will be the key drivers of economic growth in 2019? As the Sultanate looks toward economic diversification, we are expecting the key drivers for economic growth to include infrastructure investments in ports, free zones, industrial estates, roads, and airports, as well as increased trade with GCC states, Asia and Sub-Saharan Africa. This growth in infrastructure and trade will in turn contribute to a demand in postal services including digitalized products and cutting-edge solutions. Logistics plays a critical role in enhancing the economic development and competitiveness of the Sultanate and we are optimistic about Oman’s economic growth over the next year. In 2017, Oman’s logistics market value reached $12bn. Currently, it is contributing $2.9bn to the GDP and that number is forecasted to reach $7.8bn in 2020. Logistics is one of the vital sectors for Oman’s economic diversification. What is your future outlook for the industry? The National Programme for Enhancing Economic Diversification (Tanfeedh) has identified logistics as a key pillar in advancing the socio-economic development of the Sultanate. The government has entrusted Asyad, our parent group to drive greater efficiencies in the sector and to build the necessary capabilities for adequately dealing with the demands of Oman’s trade agreements with other nations and international bodies. As such, the Sultanate is working to fully leverage its strategic geographical location to develop itself as the centre for trade in the Middle East and become a major global player in this sector. Over the past two years, Oman’s logistics performance has significantly improved jumping five places from 48th position to occupy the 43rdposition in the World Bank’s recently released Logistics Performance Index (LPI) 2018 report. What are the challenges for the postal service and logistics industry in the years ahead? There has definitely been a shift in mindset across the world when it comes to postal services. The industry has undergone a fundamental evolution over recent years that have been driven by technological advancements. This has resulted in a number of organisations including Oman Post reinventing ourselves and moving into retail digitalisation. While there is no doubt with this transformation there are challenges, we believe through business excellence and the prioritisation of customer satisfaction, we will better drive new growth within the industry. As an organisation, we have embarked on a journey of transformation to redefine our place and role as a future-ready postal services company that can create and deliver more value to our customers. This includes a shift in mindset and organizational culture. To remain competitive, we have centered our efforts on cost control, operations optimisation, innovation, investing in logistics and expanding international networks, broadening financial services, and enhancing retail networks. What are the new areas that Oman Post plans to foray into in 2019? Through a clear strategy we are adopting and implementing a new approach to optimise core mail operations, grow the parcels business and diversify into new markets in 2019 and the years to follow. Leading-edge technology will form the foundation of our transformation, resulting in better counter-solutions, back-end solutions, and last-mile delivery solutions. 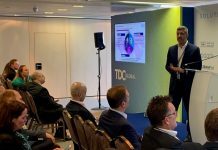 We are introducing two globally recognised approaches to achieve improvements in innovation, profitability, technology, efficiency, revenue growth, customer satisfaction and other focus areas of our operations. Through the EFQM business excellence model (European Foundation for Quality Management) and our LEAN approach, we are working to enhance the overall customer experience. The adoption of this model serves as an umbrella to ensure all of Oman Post’s initiatives are interlocked, operating harmoniously towards the same goal: continuous improvement and business excellence. While our current network comprises of 83 branches across the Sultanate, we are looking at how we can enhance offering other products and services outside the traditional postal model. While much of this is still being discussed and formulated, it will undoubtedly offer greater capacity for Oman Post to serve the wider logistics sector. One aspect of that is with e-Commerce. As consumers become increasingly comfortable with ordering items online, Oman Post is diversifying its portfolio to include a broad range of services such as e-Commerce. The Matjar online address forwarding platform allows customers to establish a virtual address in the United States and other countries at competitive prices. Additionally, traditional brick-and-mortar is making the transition to digital environments. For example, Oman ePost is an advanced digital postal service that combines the e-mail system with traditional mail services, allowing subscribers to receive printed mail and parcels without the need to subscribe to a conventional mailbox. How was the year 2018 for the postal services and logistics in general and Oman Post in particular? Over the last two years, Oman Post has made great strides to play a major role in e-Commerce. We focused on key projects particularly related to transforming our domestic network, implementing track and trace system and customer relation management, as well as launching online shopping and other planned products and services which are currently in the pipeline, such as, setting up a new business line in relation to financial services. As a result, Oman Post’s parcel growth because of the rise of e-commerce sales has been one of the fastest growing segments in our business, and this continues to be an increasingly important driver of economic growth in Oman. This year we also organised the first edition of the Oman Post Forum 2018. In line with the national logistics strategy to position the Sultanate as a leading trade and logistics hub. We shared our vision, mission and strategy to grow the postal services industry in Oman and leverage the untapped opportunities in this key contributing sector to the national economy. This year we also revealed our new strategy, ‘driving transformation through business excellence’. 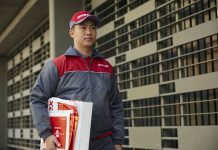 A three-fold plan that focuses firstly on implementing ‘lean’ to optimise core mail operations, grow the parcels business and diversify into new growth markets. Secondly, enhance our logistics network in order to offer other products and services outside the traditional postal model. Thirdly, focus on international growth by expanding our reach and diversifying operations. Muhammed Nafie is an Assistant Editor at Oman Economic Review.